The University of Victoria Libraries is proud to be an essential and integral part of the research life cycle at UVic. Our awards recognize and honor the contributions and achievements of all our students, enhancing the sense of personal growth and accomplishment in our academic community. Established in 2014 and named for donor David Harris Flaherty, this $1000 scholarship is awarded to an in-course, academically outstanding undergraduate student in any discipline who can show how they have utilized library resources - be they print, archival, music, multimedia, digital, etc. - for a class project, assignment or research paper. Eligible students must complete a 500 word essay explaining their use of library resources in an application. The University Librarian's Office will nominate the recipient. Annual deadline is May 31. David Harris Flaherty served a six-year, non-renewable term as the first Information and Privacy Commissioner for the Province of British Columbia (1993-99). Flaherty began his involvement with privacy issues as an assistant to Alan F. Westin at Columbia University in 1964. His first book was Privacy in Colonial New England (1972). In 1974, he started comparative public policy work in Europe and North America that led to a series of books, including Protecting Privacy in Surveillance Societies: The Federal Republic of Germany, Sweden, France, Canada, and the United States (1989). Flaherty has written or edited fourteen books. He is an honors History graduate of McGill University (1962) and has an MA and Ph.D. from Columbia University. His teaching career, from 1965 to 1993, included Princeton University, the University of Virginia, and the University of Western Ontario, where he was Professor of History and Law from 1972 to 1999 and is now Professor Emeritus. He was the first director (1984-89) of its Centre for American Studies. He has held fellowships and scholarships at Harvard, Oxford, Stanford, and Georgetown Universities. 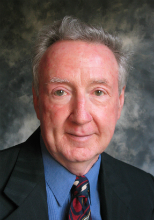 In 1992-93 David Harris Flaherty was a Fellow of the Woodrow Wilson International Center for Scholars in Washington, DC and a Canada-US Fulbright Scholar in Law. Flaherty was an Adjunct Professor in Political Science at the University of Victoria from 1999 to 2006. Flaherty was President of Pacific Opera Victoria for four years from 2010-2014. He is also an Honorary Life Member of the Art Gallery of Greater Victoria. Established in 2014 and named for bequest donor William Petrie, this $1000 scholarship is awarded to an academically outstanding graduate student in any discipline who can show how they have utilized library resources - be they print, archival, music, multimedia, digital, etc. - for a class project, assignment or research paper. When Bill Petrie wasn't studying the aurora borealis, he was writing books on orchids. When he wasn't contributing his talents to the Defence Research Board of Canada, he was investigating global warming and alternative energy. A 20th century Renaissance man! Bill was born in 1912 Victoria and his first great love was music. His father was an accomplished bass vocalist and his high school principal, Ira Dilworth, a concert pianist, further cultivated Bill’s deep appreciation for the classics; a joy that stayed with him for the rest of his life. At Victoria College Bill was President of the Student's Council. He left Victoria to attend the University of British Columbia for his BA in math and physics. Then he moved his genius on to Harvard and the Massachusetts Institute of Technology, where he completed his PhD. Bill swapped coasts again to begin his climb up the ladder of a teaching career; starting at UBC, then after WWII, moving on to the University of Manitoba and the University of Saskatchewan. His teaching success was matched by a research career with the Defence Research Board where he moved through several senior positions before occupying the roles of Deputy Chairman and Chief of the Canadian Defence Research Staff in London, England. 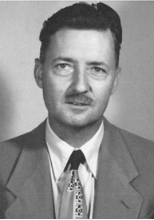 In the 1950s, he served as Canadian Chairman of the Canada-US Scientific Advisory Team on air defence. In 1971 Bill retired, but that doesn’t mean he slowed down. He brought his wife of then-nearly thirty years back to Victoria and the Saanich Peninsula where they worked together on the mysteries of the aurora borealis: he using his expertise in spectroscopy, she illustrating his publications. He explored alternative energy sources, military technology, constitutional and environmental issues and combined his love of photography with orchids to produce the Guide to Orchids of North America. He was also active on many boards and committees including with the NATO laboratory in La Spetzia, Italy. Many honours were bestowed on Bill for his work, including election as a Fellow of the Royal Society of Canada and the Centennial Medal. But his long life of 100 years wasn't fuelled by accolades; it was fuelled by a deep curiosity for the spectacular world around him and the joy it gave him. He took pleasure in both his internationally influential work and in simple hobbies such as gardening.